Housing is expensive in Orinda. A quick internet search reveals that the cost of housing in Orinda is nearly 62% higher than the rest of California. The average price of rent for a two-bedroom home is approximately $2630 while an average studio can run you $1800. It can be cost effective to take the studio and rent a storage unit near Orinda for everything you want to keep but won’t fit. Why spend for extra space to house your little used stuff when a storage rental unit can do the trick? Here are five reasons to utilize a 5A Rent-A-Space Storage unit near your Orinda home that will save you money and precious space. Extra Closet Space: You can never have enough closets, and your housing budget may allow you fewer closets than you would ideally like. If you have too much stuff and not enough room, a storage unit can protect those items you use with less frequency, such as holiday decorations, seasonal sports gear, bikes, or clothing. Moving is Less Stressful: Whether you are moving across the country or across town, moving can be extremely stressful. Using the extra space from a self-storage rental unit makes it easier to house your belongings in one place giving you the luxury of taking your time to unpack. Safely Receive Package Deliveries: You do not have to worry about packages being left on your front step or outside your apartment door. You can have them safely delivered to us instead, and with your signed permission, we can place them in your unit until you are ready to pick up. There’s nothing like knowing your deliveries are safely tucked away from the prying eyes of trespassers and miscreants. Save Money on Space and Living Expenses: Life in Orinda is not cheap. It may not be budget-friendly to buy or rent a home with all the space you need to house your belongings, but a rental storage unit can help you get the space you need for less money. Additionally, if you have roommates, it may be impossible for everyone to house everything in your apartment or home, so a storage unit can give them that needed extra space as well. Protect Your Belongings During Disaster or Renovations: You can never know when a disaster will strike. Be it fire, flood, or other natural disasters, you may need a safe place to store your belongings during renovations. You can breathe easier with storage options to make the most of your space constraints and your budget. 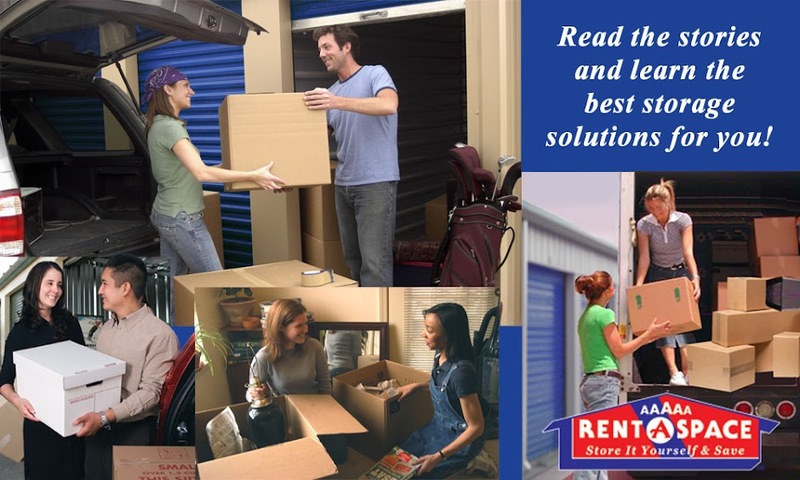 Take advantage of a rented storage unit at 5A Rent-A-Space. With over 30 sizes, we have a variety of storage units to meet your needs, from units as small as a 4’ cube or an additional closet, to units up to a double car garage size. Plus, boxes, locks, bubble wrap and all kinds of packing supplies to help get your belongings packed and ready to store. Do you have some unused electronic devices sitting around taking up space? Maybe you are in the process of moving your mother-in-law into your spare bedroom and need to store your additional televisions, computers, printers, or cameras for an extended period of time. Putting these items in storage can be the solution to freeing up precious space in your home. As these are expensive purchases, it is important that you do not just throw your items into storage without thinking about how to protectively package your investment. When you choose a 5A Rent-A-Space storage rental near Lafayette, you can be assured that your belongings are safe and protected. Think Climate Controlled Units – Electronics can be fickle when it comes to climate exposure. If it gets too cold, you run the risk of ink and fluids freezing in your printer. If it gets too hot, your printer or cameras can build up condensation or rust and suffer moisture damage. One way to solve this dilemma is to rent a climate-controlled storage unit. If a climate controlled unit isn’t available, choose a ground floor unit inside the storage building. That gives you the protection of the building all around your unit and it’s not exposed to the outside elements. Bubble Wrap – Surround your fragile computers, cameras, mobile phones, and music items with bubble wrap to give them shock absorption protection. Cotton Sheets or Canvas Covers – Dust is a nightmare for electronics. Place cotton sheets or canvas covers over your items to keep dust at bay, before you cushion them with the bubble wrap. Avoid Plastic – Plastic does not breathe; therefore, moisture gets trapped inside easily. Never cover your electronics tightly wrapped with plastic when putting them away in long term storage. Label Boxes – After you pack your storage boxes, be sure to clearly label each one with the contents so you can easily access what you need. Warning Labels – It is a good idea to remind yourself and others that the contents in the boxes are fragile, heavy or need “this side up”. Labels can keep both your items and your back safe. Insure Your Belongings – Most electronic devices like mobile phones, televisions, cameras, and computers are expensive. While a storage rental property is equipped with strong security systems and video surveillance cameras, it does not protect you from unexpected situations like natural disasters. Additional insurance can help when disaster strikes. Enjoy peace of mind when you properly store your electronic devices in long-term storage. A 5A Rent-A-Space storage rental gives you the protection you need, frees up space at home and still allows easy access to your possessions. Reserve your self-storage unit online now. Call 5A Rent-A-Space at 925-643-2024 or toll-free at 1-800-5ASPACE (1-800-522-7223) to learn more. Not sure how much space you will need for your electronics? Use our online Space Calculator to estimate the best unit size for you.